The installation shows the three primary colors, one at a time, always in the same order. 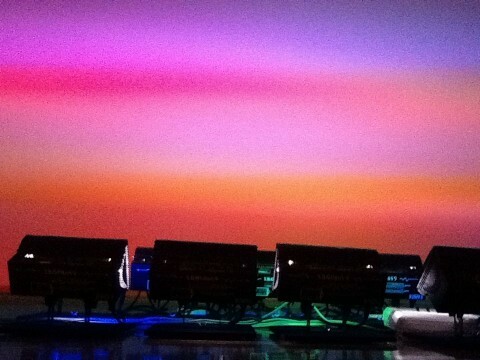 Because of speed changes, the colors seem to merge into white light, with optical illusions / patterns to be seen by the human perception at certain speeds. A hidden microprocessor generates truly random numbers, which are processed into random delay times, matching the human’s eye blink rate. The fluorescent light is then switched off for the shortest possible time (1/50 of a second), resulting into an experience resembling a blink. 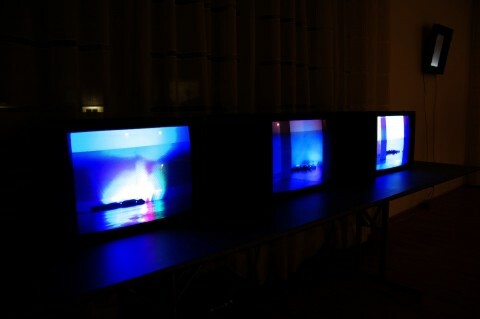 All three works are perceived different by the naked eye, compared to the documentary seen here. 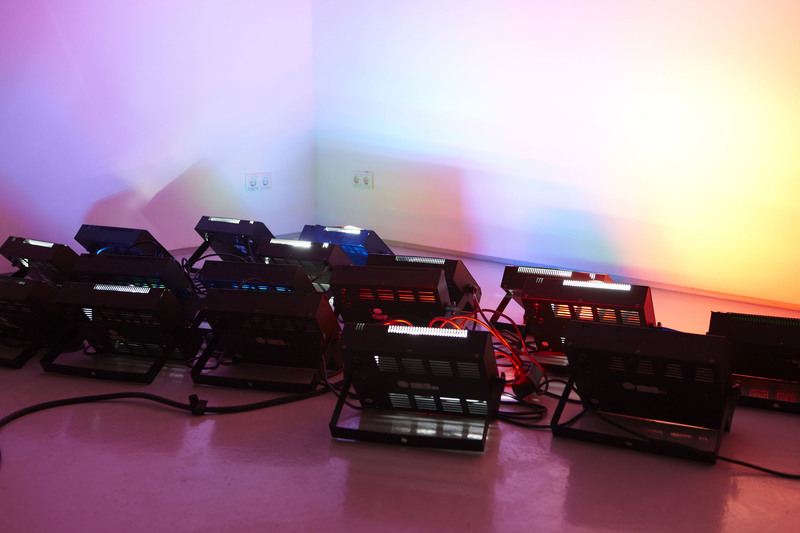 RGBlaster made another appearance at “Kobe Biennale 2011”, at the japan-based Hyogo Prefectural Museum of Art. 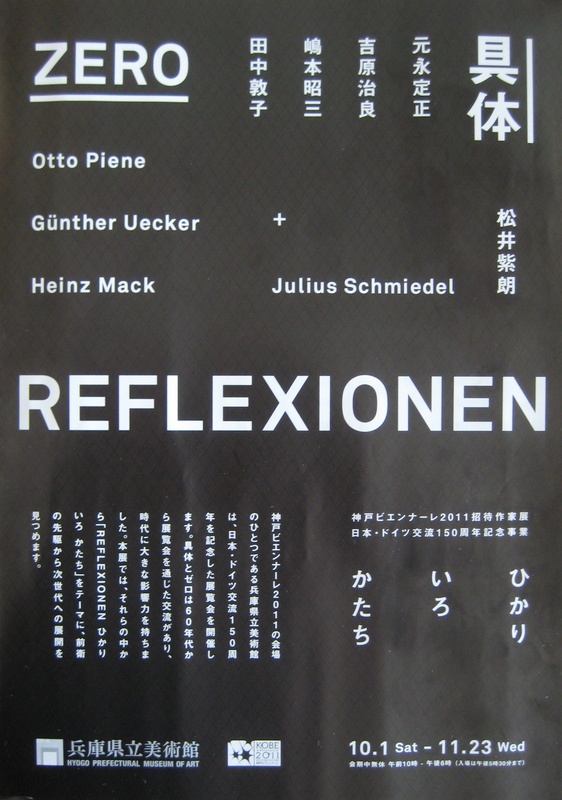 It is part of an exhibition making a connection between the japanese group of “Gutai” and the german “Zero”, both showing the original artists of those groups, and two positions of younger artist in one show. The exhibition was on view from first of october until the 23rd of november 2011. On January 28th, two recent works were shown during an evening at Hanse Wissenschafts-Kolleg in Delmenhorst, Germany. 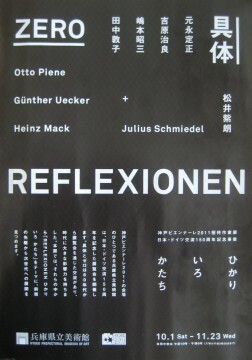 I had been invited because of my works at the “Below Zero” exhibition in Düsseldorf last year. It was a good match since one of their fields of research is in the field of human perception. Due to the size and it’s demanding hunger for electricity, i could not show “RGBlaster” itself. Instead, I presented a 3 channel video based on the installation, one screen documenting the installation as seen last year in Kai10, one screen showing a minute of how the camera perceived the installation, and one screen showing a simulation of what the human eye would have seen instead. Also, I gave the audience a sneak preview of my latest piece “Kelvin”. 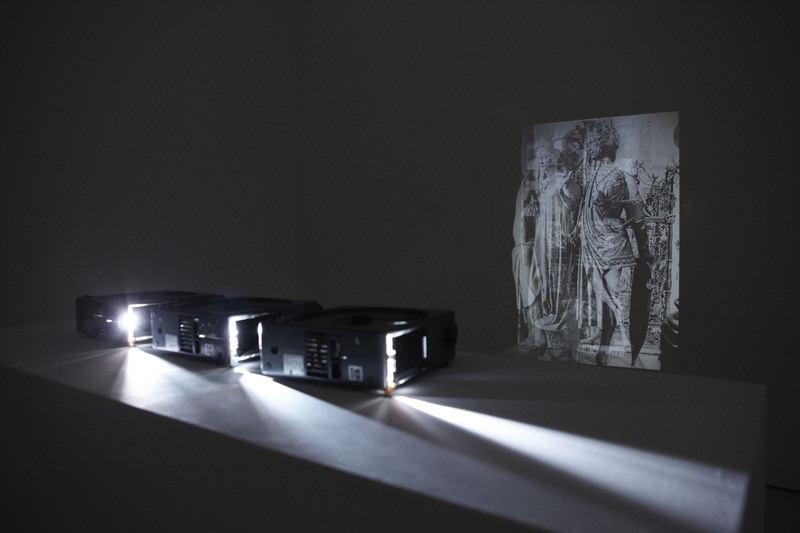 This Work is based on the limitations of the human visual perceptive system. 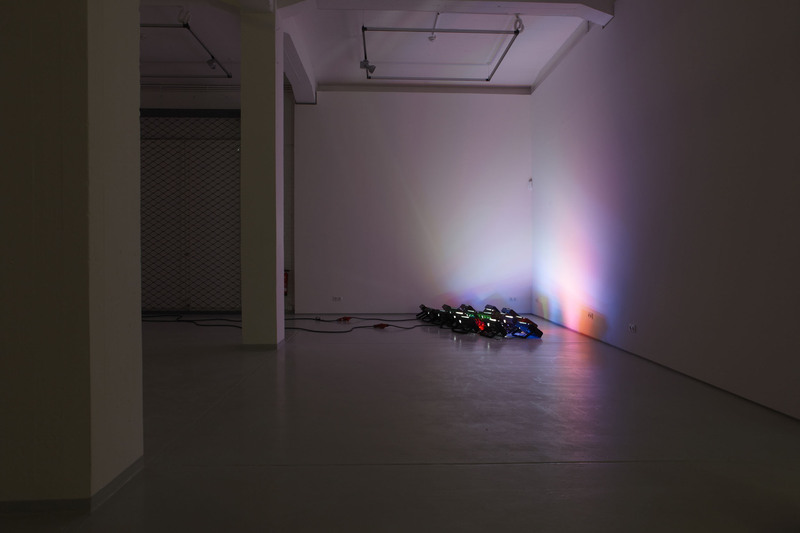 The primary colors red, green and blue are flashing up to illuminate the room with more than 100 flashes per second. The human perception is mixing these colors into white, but as the strobes aren’t synchronized, there are moments of a destinct color visible in the room.